Whether you are looking for Venue location, things to do outside the conference, key travel information to make your ReactiveConf visit run smoothly or just planning where to stay in Prague, you should find everything you need in this document. ReactiveConf aims to be a creative and welcoming space for everyone. We would like to connect the community across the world. And definitely not to split it. It should be a place, where new talents meet with senior developers face to face and have a chance to learn something. Where senior developers can find a new inspiration. Where you can find a new friend and some new mind-blowing ideas. There are various possibilities for your accommodation: you can stay close to the venue: Venue Oriented location map link; or you can stay in the beautiful city center of Prague (it's a little more expensive): City Center location map link. If none of these option suit you, can stay at any suburb area of the city–this is a cost friendly option. Accommodation pricing follows one simple rule: the closer to the city center the more expensive. There are various hotel available and abundance of AirBnB listings. Please note: we highly recommend using metro for your transportation needs during your stay in Prague. The Czech Republic is a European Union member state, but like neighbouring Poland, the Czech Republic does not use Euro. The Czech Crown koruna (CZK) is the national currency of the Czech Republic. This is an option if you have a common currency like the US dollar or Euro. You will receive a favourable exchange rate both for USD and EUR. Please note: DO NOT exchange your money at the airport as the exchanges don't have competitive rates. Wait until you get into Prague center as there is a competition amongst the currency exchanges resulting in a much fairer rate. Please note: this is the safest way. Arriving in Prague with bills in hand means no stress, no pain. However, there is a drawback you will most likely receive a poor exchange rate. The Koruna is a not an international currency and banks outside of the Czech Republic do not hold it in abundance, hence the unfavorable exchange rates. This is also very safe. The only drawback is that you are not getting the best rate. There is usually a service charge for using a foreign ATM, but you should check with your bank to make sure. Winter is coming the weather continues to cool down in Prague during October. The temperature in the city averages around 11.5 °C with 16 °C during the daytime and 7 °C after the dark. There is also a slight chance (around 30 %) for moderate rains, so make sure you come prepared. Prague has appropriate Western-style medical clinics with English-speaking doctors and dentists. All major hospitals accept credit cards or cash as a method of payment. Private specialists usually expect cash, although some private facilities also accept credit cards. A foreigner's clinic is available in 'Nemocnice na Homolce' hospital in Prague . Please note: make sure your health insurance plan provides abroad coverage. If not, we highly recommend a supplemental insurance depending on your current plan. Please do not underestimate the importance of health insurance coverage abroad. First of all, if no one tempers with your moral compass you should be alright ☺ However, if you notice anything dangerous or suspicious during the event, please do not hesitate to contact anyone from the staff. You are a subject to local laws after entering the Czech Republic. If you violate local laws, even unknowingly, you may be expelled, arrested or imprisoned. Please note: always carry your ID during your stay to validate your identity upon request (for example to the local police), do not DUI (drunk drive) as the Czech Republic has a strict zero-tolerance policy for drinking and driving and do not sale, posses, or use illicit drugs that are against the law in the country. The Czech Republic generally has little crime. However, you should still take some precautions against becoming a victim of a crime. 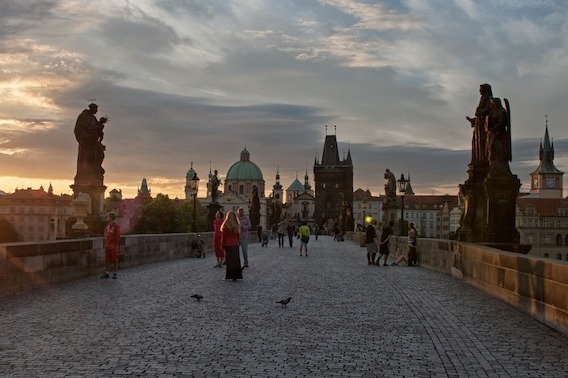 Typically, visas are not required when visiting the Czech Republic for a shorter period than 90 days, although some nationalities will need a Schengen Visa. Tourists should always keep documents such as passports on them as they may be required to validate their identity. Citizens of the EU countries can stay in the Czech Republic indefinitely and do not need a visa. Prague is the capital city of the Czech Republic It's easily accessible by plane from most major cities around the world. If you are living in the nearby region, it is easily accessible by bus or a train. 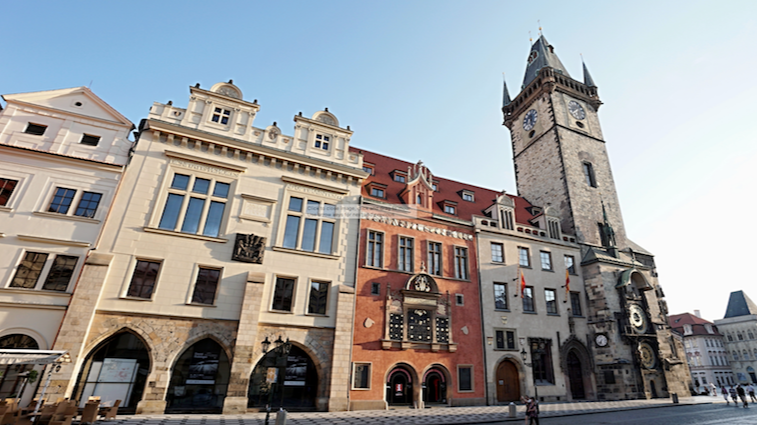 Flying to PRG airport (Vaclav Havel Airport Prague): The airport is located approximately 17 kilometers from the city center (Wenceslas Square). There are several ways how to get to the city center: a Private Pickup / Uber / Public transport / Shuttle bus. driver awaits you with a welcome sign at the terminal exit. drivers’ quality varies and prices may go up during the rush hours. take the bus number 119 to 'Nadraži Veleslavin' and switch to the metro line A (green color on the legend) and continue to the downtown 'Mustek' or any other downtown station. if you are traveling with more than 2 people, we advice to take a private pickup or Uber. If you are travelling by train, you will arrive to the 'Main Railway Station'. Travelling by bus, you will arrive to the 'Florenc Bus Station'. Both stations are situated on the red metro line "C". Metro stop closest to the 'Main Railway Station' is called 'Hlavní Nádraží' and the closest metro stop to the Bus station is called 'Florenc'. Every attendee will receive a free transportation ticket which can be used for the bus, tram or metro during the ReactiveConf event. This ticket is valid from 29th till 31st of October. Please note: make sure you get a transportation ticket first thing after arriving to Prague before you claim your badge with a free city ticket. A single-day ticket (just to get to the ReactiveConf 2018) will let you switch between the entire public transportation system unlimited times until its expiration. A ticket valid for 90 minutes costs ~1.25 € (32 CZK) and you can use it for the bus, tram or subway. You can buy it at the Ticket Machine with CZK change or credit card. If there is something disturbing happening to you or you see something happening to anyone at the event, please reach out to our team members, volunteers or people at the help desk located at the venue. You can also reach us through concierge@reactiveconf.com or contact Sunethra, our Diversity and Inclusion Consultant, at diversity@reactiveconf.com. Please note: under our zero tolerance policy, any violation of Code of Conduct by any attendee results in immediate exclusion from ReactiveConf. Please note: make sure you have a ticket receipt with QR code with you before claiming your badge. Please note: if you are coming to pick up your friend’s badge, you will need your friend’s ID (or its copy) and a ticket receipt with QR code. 3.5. What time? Where is the Venue? Please note: there is a new venue for the third day–Festival day. Prague Castle has been an important symbol of the Czech state for more than a thousand years. It was founded in the 9th century and became the seat of Czech rulers and later presidents. The castle, one of the largest complexes in the world, is made up of historical palaces, offices, church and fortification buildings, gardens, and picturesque spots, such as the famous Golden Lane. Prague’s oldest bridge was built to replace the Judith Bridge that had been badly damaged by floods in 1342. The Stone, or Prague, Bridge, called Charles Bridge since 1870, was begun in 1357 by Charles IV and was completed in 1402. The bridge is built of sandstone blocks, flanked at each end by fortified towers (Lesser Town Bridge Towers, Old Town Bridge Tower). The commercial and administrative centre of the city and the site of important social and historic events. It was created during the founding of New Town by Charles IV in 1348. 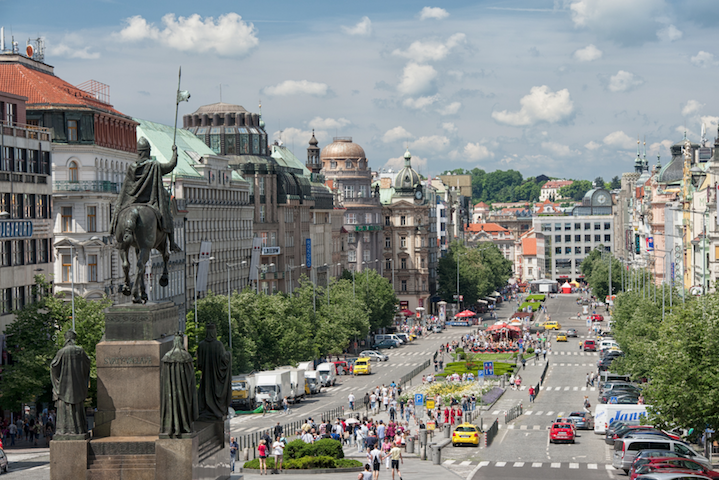 Today the square is dominated by the National Museum (1885–1891) and the statue of St. Wenceslas from 1912, the work of J. V. Myslbek. Unquestionably the main landmark of the Žižkov district, at 216 m in height, it's also the tallest building in the city. With a 360° view, Prague is laid out before your eyes from the viewing platform at 97 m. One entire floor is dedicated to relaxation and above all to top quality gourmet experiences. 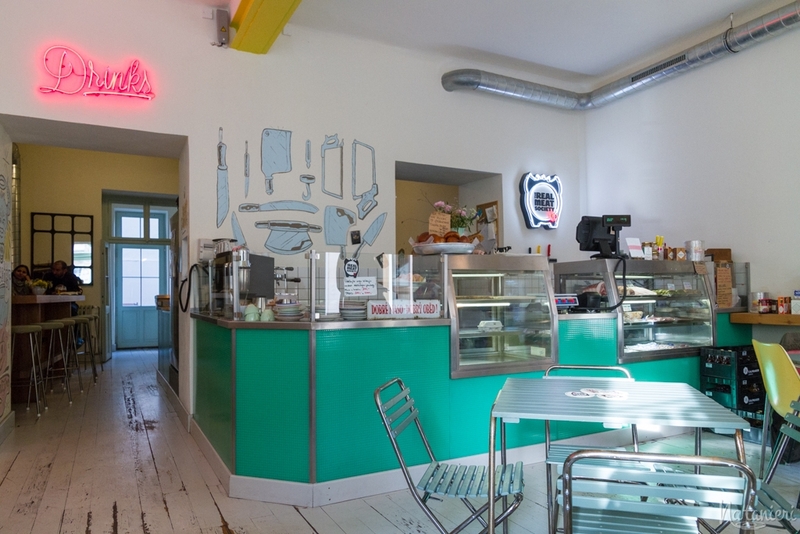 Open daily 09:00–24:00. PLEASE NOTE: here is a google map location of this mentioned monuments. Meat and Doughnut serves breakfast, lunch and dinner and of course weekend BRUNCH! A real surprise is that even though the name talks about meat they love vegetarians, so you will find plenty options if you do not eat meat. Enjoy dining here! 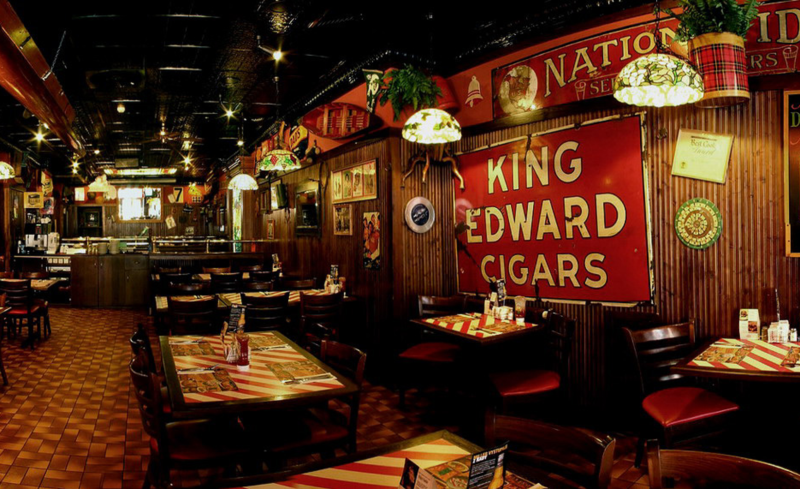 A magical combination of carefully treated beer and freshly prepared homemade food. The beer is draught straight from the tanks via the shortest route into your pint glass, where it remains fresh until the last sip. Real homemade meals are prepared for you, constantly throughout the day. 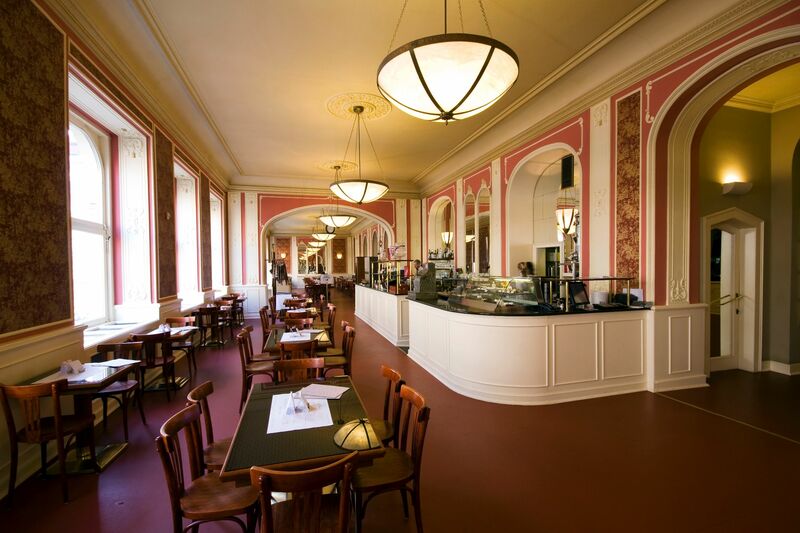 The cooks prepare classic Czech dishes, using only fresh ingredients and spices sourced from renowned regional suppliers. 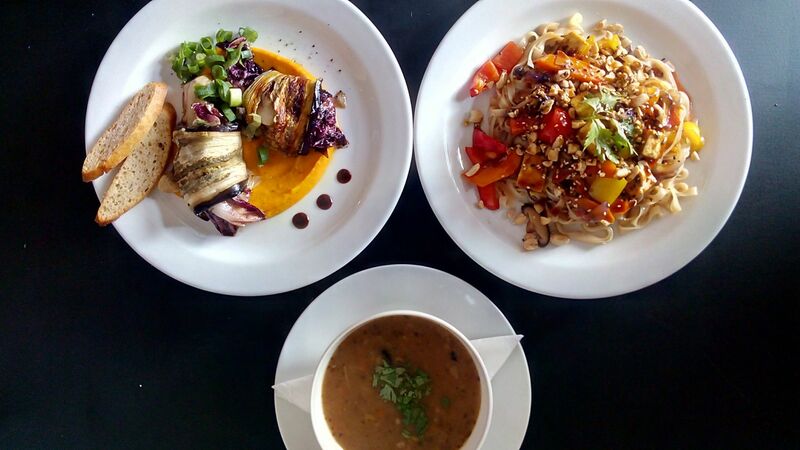 A vegan restaurant with a spacious inner courtyard garden with herbaceous borders, focused primarily on Mediterranean cuisine, and with their own home-made pasta. They’re not averse to Moroccan, Spanish or Basque recipes. The austere, almost minimalist interior does not distract you from enjoying their beautifully served and distinctively flavoured dishes. Menu from the USA - tested, grill with an open fire, hamburgers from 200 g pieces of meat, no additives and additions, Lampen brand fries, PRIME CHOICE – prime quality. Specific tastes you cannot get anywhere else. Imported products from the US, specific sauces (like FRANCS HOT SAUCE), spices mixtures and fries–a secret recipe. 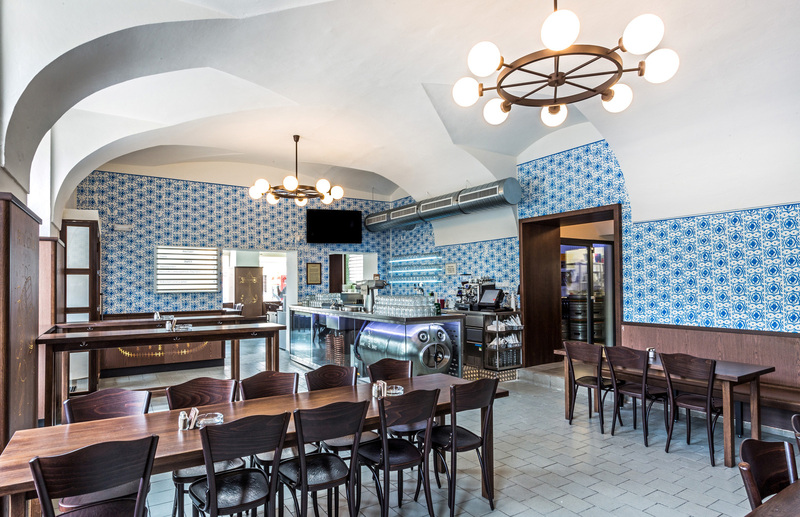 The oldest kosher restaurant in the former Czechoslovakia offers the best of traditional Jewish cuisine of pre-war Central and Eastern Europe. PLEASE NOTE: here is a google map location of all upper mentioned establishments. 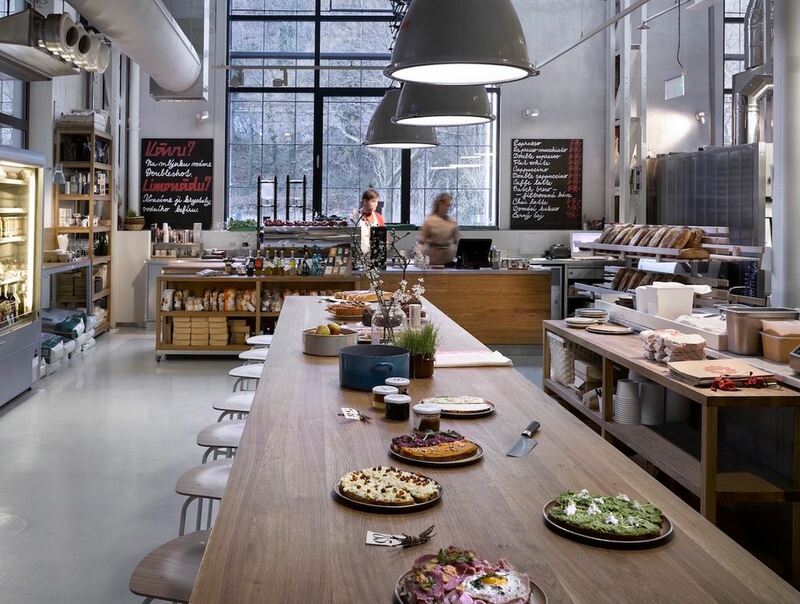 Restaurant, bakery and café which share common space on the premises of Forum Karlín. The restaurant takes its inspiration from Nordic cuisine. Seemingly ordinary ingredients are transformed beyond recognition through the rediscovery of old techniques. 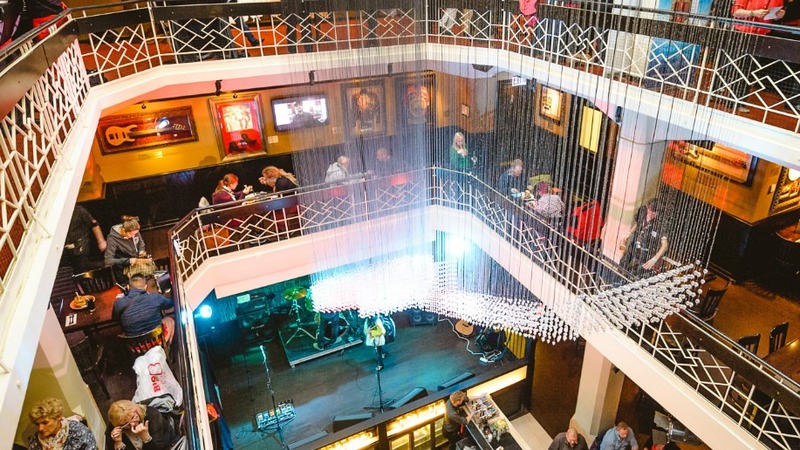 Hard Rock Café offers traditional American cuisine in a rock'n'roll atmosphere. Apart from food you can check out the award winning drinks list of excellent cocktails. 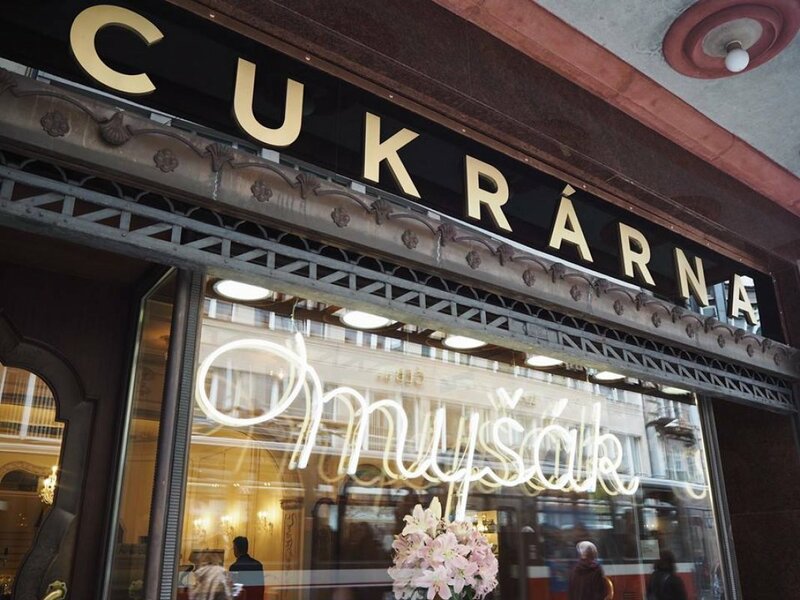 This patisserie still keeps its charm and brings you some of the most classic Czech desserts, sweet pastries and complimentary coffee it the heart of Europe. If you have any questions before the event, please, reach out our concierge through concierge@reactiveconf.com. For any questions or feedback during the event, please approach any of our team members or volunteers present at the venue or at the help desk.